A Mood Board is a collage of images, text, and a sample of objects used in a certain composition. They are mostly usually used by graphics designers, interior designers, photographers and other creative artists, to visually illustrate the style they wish to pursue in their work. Mood boards can be very helpful for designers in getting their design ideas across. They help designers in conveying the concept of their designs in a creative and visual manner. 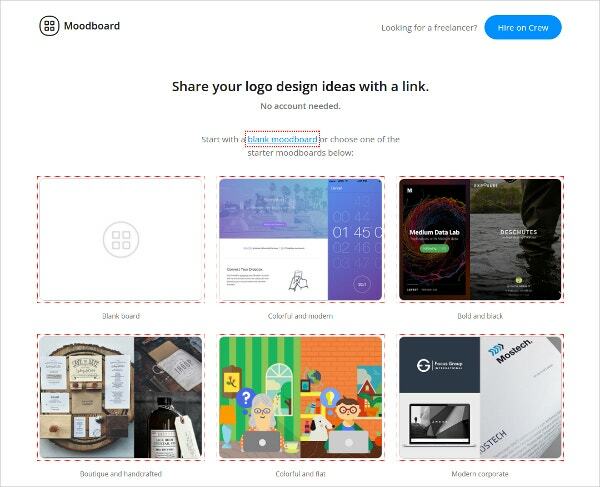 You can also see Infographic Design Tools. 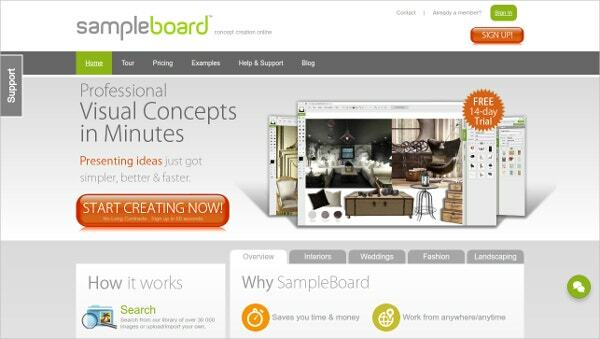 SampleBoard enables designers to share their design ideas with clients, anywhere, anytime. 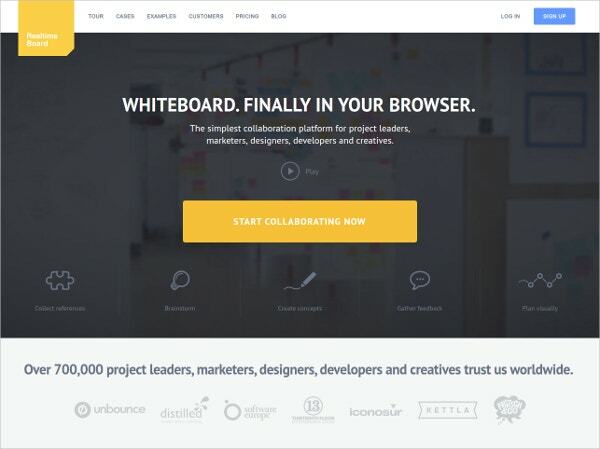 With a full set of professional design tools, it helps designers to combine product images, textures, colors, palettes, and patterns to convey their design concept from the initial stage of the project. 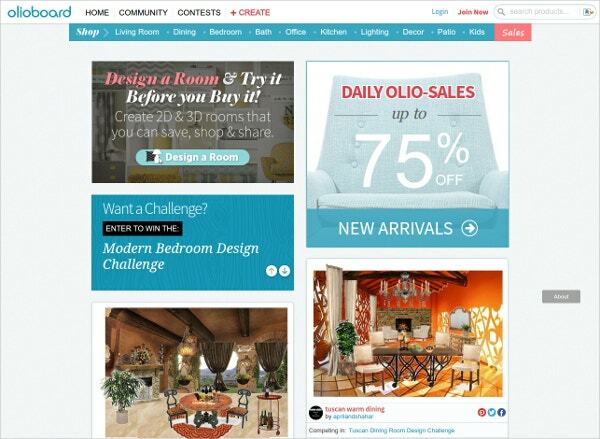 Olioboard is the perfect online tool for creating mood boards for interior designs. This tool helps designers to sketch 2D and 3D rooms. This tool has some amazing features; it enables a drag-and-drop interface which allows rotation, scaling, framing, and cropping. Niice presents designers with the simplest way of expressing their creative ideas. 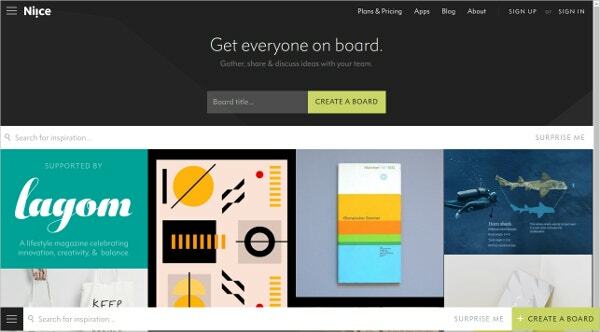 Niice’s focused drag-and-drop interface help designers to create stunning mood boards in minutes. Getting new design ideas on demand is an uphill task and Niice helps designers in finding that creative spark. While working on your design project, you just came across a brilliant idea or discovered a great article, you need a place to save it all. Evernote is the perfect tool for such tasks. 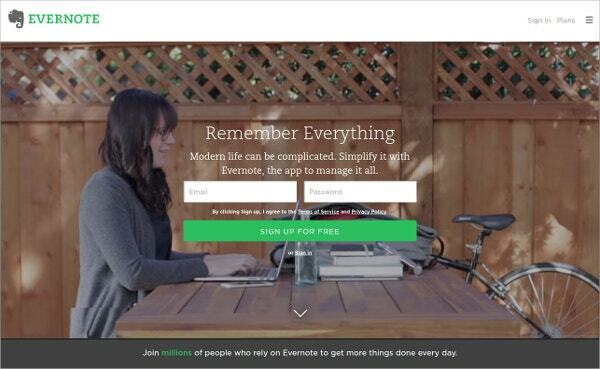 With more than 150 million users, Evernote is one of the most used notetaking apps. It allows users to keep track of just about any kind of information. 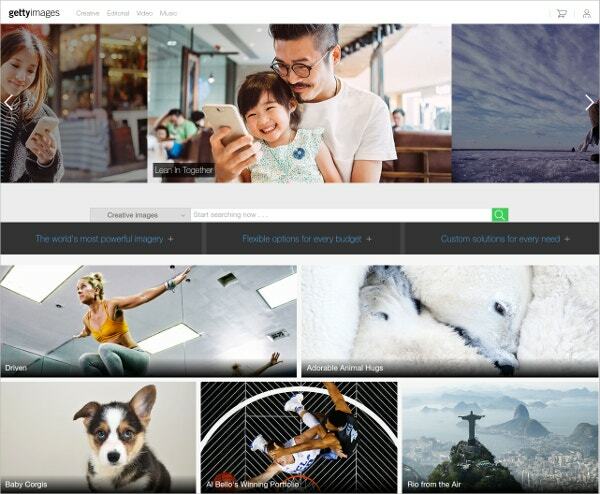 Moodstream is an awesome tool from Getty Images wherein designers can generate ideas by mood board assisting tools. An image speaks a thousand words, but finding the right image to capture the right mood can be a challenging task at times. And this tool helps designers in this regard. 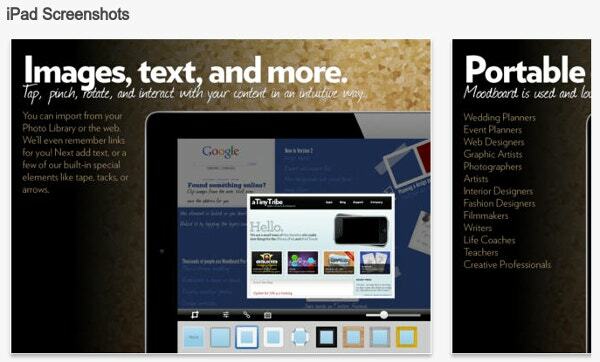 Moodboard Lite is the free version of the best-selling app, Moodboard, which is used for creating mood and inspirational boards on your iPad. It provides a blank canvas where you can organize things. You can add photos, text, color swatches etc., and share them with your colleagues, friends or family. 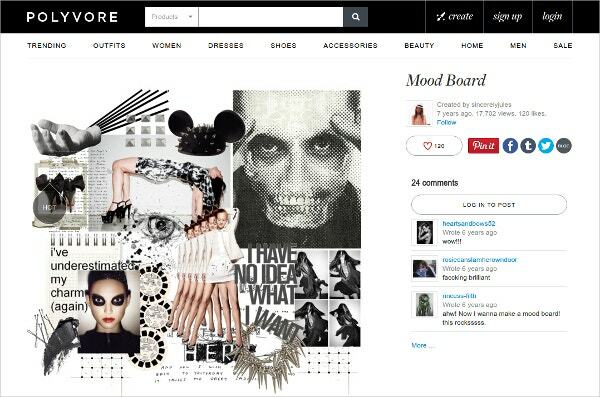 Polyvore is an awesome online tool for creating fashion, as well as interior mood boards. It is known as the web’s largest fashion community, wherein you can create fashion boards and you can browse through other designer’s creations as well. 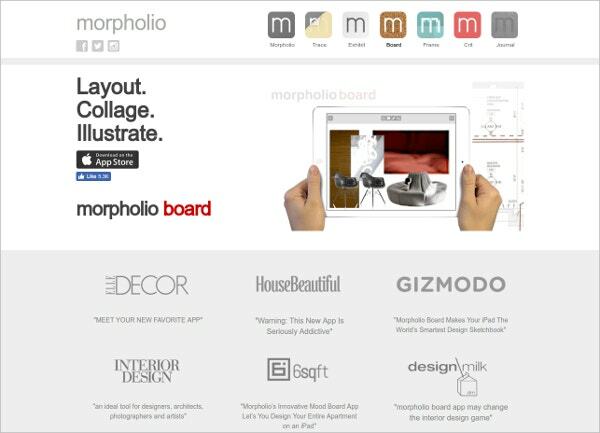 Morpholio Board is ideal for designers, architects, photographers, and artists as it allows them to easily build custom layouts, communicate through drawings or notes. 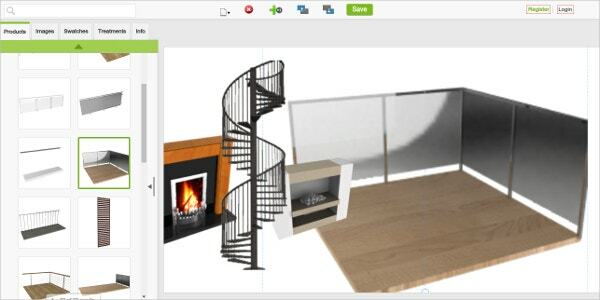 Through this app, an interior designer can design an entire apartment on an iPad. Designers often think that they have all the answers. It is their job to know what looks good and what doesn’t and they take that responsibility seriously. But even if a designer is extremely talented and his design works are top-notch in quality, there are times when the designers and the clients fail to be on the same page. And mood board is the appropriate tool through which designers can communicate their concept with clients.